When you were 12 years old, your daily food pyramid would have been a base of six to 11 servings of chocolate, followed by candy, soda, marshmallows, and ice cream in the center -- and maybe one piece of broccoli at the top. But since we live in the adult world, (sigh) we need to be a little more selective when it comes to all things sweet. With that in mind, we’ve pulled a list of the eight best sweets you can get in the city. Adult tested, Thrillist approved. With the city’s blood running green, white, and red, it’s no surprise that legit Italian food options abound in Philly -- including a few places that are older than your nonna. So if you’re looking for an Italian dessert that's not water ice, head to the Italian Market (obviously) for some cannolis from Termini Brothers. These things are so damn good that the government should reclassify them as a Schedule I drug. 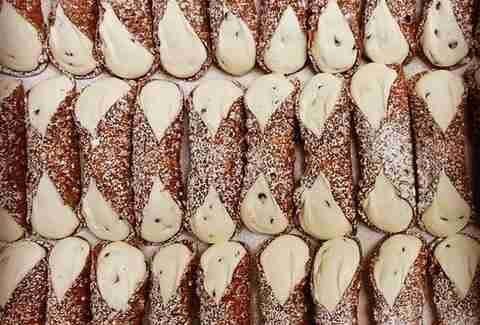 Seriously, try and stop at just one chocolate chip cannoli. You can’t. The Reading Terminal’s bakery might be primarily known for its doughnuts -- which are among the best in the city -- but its homemade whoopie pies can also satisfy any sweet tooth. 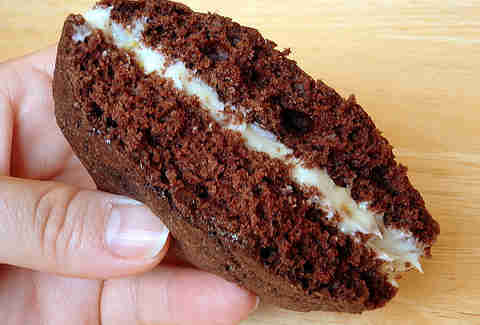 If you're not familiar with the Amish treat, a whoopie pie is generally two pieces of cake (or cookies, or pie) stuffed with sweet cream filling. At Beiler’s, you can get yours with a few different flavors of cake including pumpkin and chocolate. If delicious baked goods are your weakness, it’s best to avoid Kermit’s Bake Shoppe at all costs. 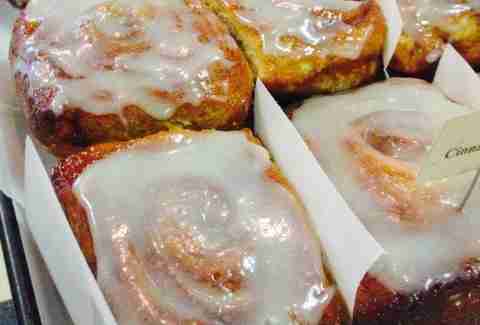 However, if you're prone to temptation, you might as well go HAM and take on a salted caramel sticky bun. 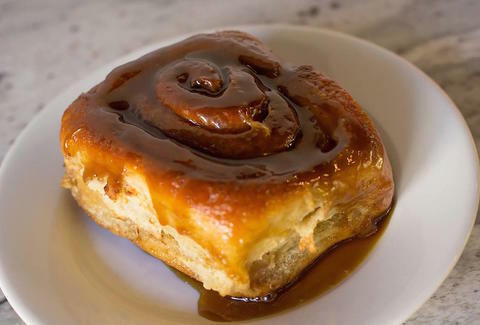 Sweet and buttery, the sticky bun is probably what they eat in heaven; because in heaven you can eat all the food you want and still look like John Stamos. In reality, Stamos just eats a diet of plain Greek yogurt. 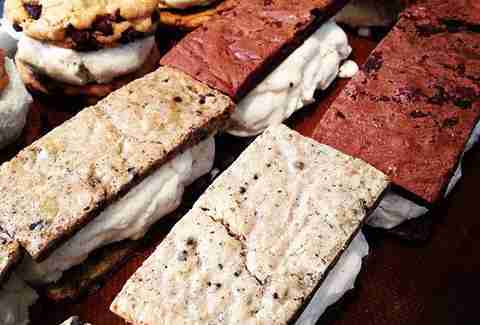 If the 'wich works with a cookie -- looking at you Chipwhich, you delicious temptress -- it might work even better with a brownie. Washington Square West’s Cake and the Beanstalk has taken everyone’s favorite childhood treat, a chocolate chip ice cream sandwich, and replaced the cookies with (the far superior) brownie. A simple but awesome switch -- like that one time you parted your hair to the other side and you were totally on that day. We’re big fans of the Asian-inspired menu at Sampan, especially during its criminally underrated happy hour. But once you've had your fill of bao buns and edamame dumplings, you’ll want to finish off the meal with something sweet. 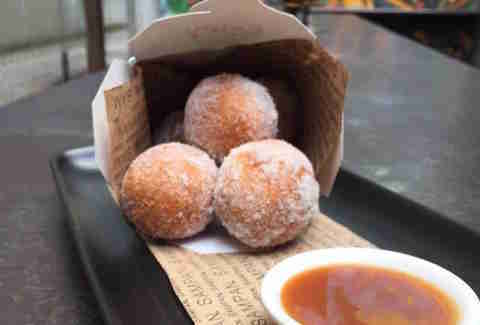 Enter Sampan’s Asian twist on the New Orleans classic, five spice ricotta beignets served with a miso caramel sauce. While the desserts change frequently, if you happen to miss out on the beignets, odds are pretty good that it will be replaced with something good. While it may not be first choice on the list of places to head for dessert, Max Brenner has all the bases covered when it comes to chocolate. 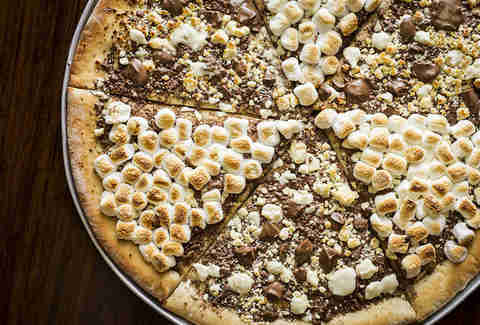 On a menu that must've been envisioned by Augustus Gloop -- seriously, it’s like a Chili’s menu dipped in chocolate -- the chocolate pizza is a real standout, topped with chocolate chunks, hazelnut bits, peanut butter and/or marshmallows. At Franklin Fountain, you can choose from over 20 flavors of ice cream, sorbets, yada yada. The real fat-kid move is to order a Mt. Vesuvius sundae (with one spoon, no sharing). 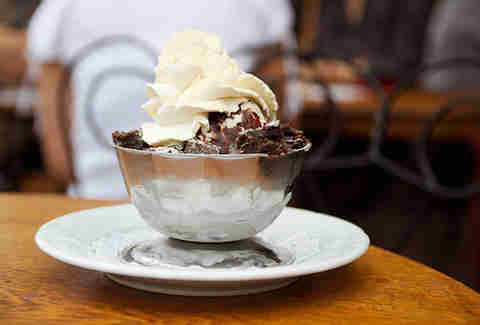 The mountainous sundae includes ice cream, brownies, hot fudge, malted powder, and whipped cream. The premium sundae makes the pricey menu, line for seating, and overall tourist trap-iness much more tolerable. 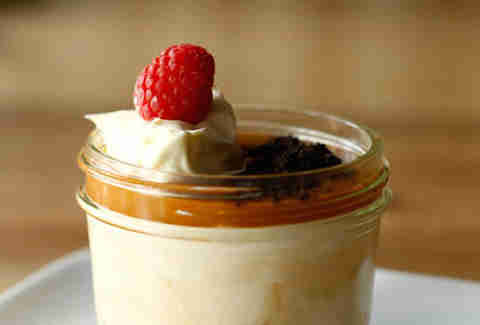 Maybe the city’s most heralded dessert, the salted caramel budino at Barbuzzo is everything you're looking for. Sweet, savory, and a bit salty (hence the name), Marcie Turney’s signature dish is almost too good to be true. Almost. With a dark chocolate crust, vanilla bean caramel, and sea salt, the dessert has won practically every award possible, and even spawned an offspring in the form of the salted caramel budino donut, which sold out during a limited release at sister property Verde.